Thanks to some unfortunate side effects of gum surgery, this review has been brewing for quite a while (sorry for the pun). 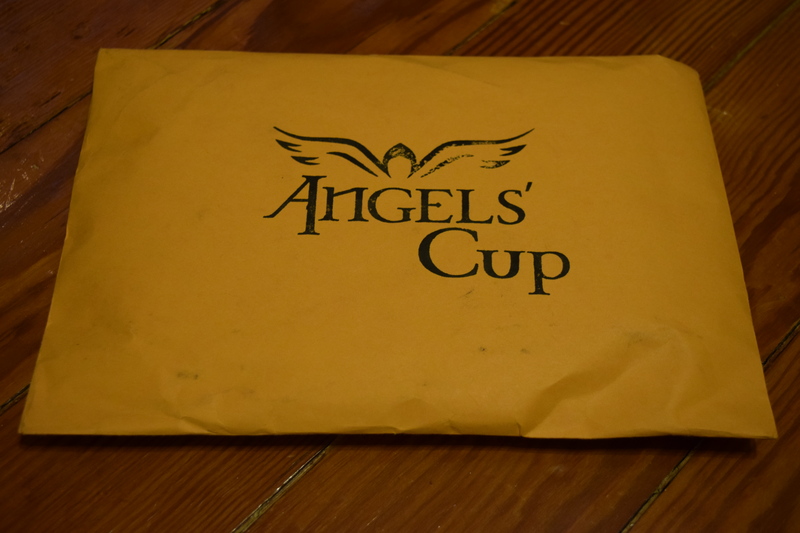 The lovely folks at Angels’ Cup sent me one of their coffee tasting boxes to review for you all back in late April/early May. Sadly, my gum surgery left me sensitive to hot and cold, but now that I’ve spent some quality time with Sensodyne I am ready to talk coffee. And this isn’t just a coffee subscription but a coffee tasting box. You order your box, download the Angels’ cup app, receive your samples and then use the app to “review” your coffee against their “roastmaster”. (I wonder is that like a beastmaster or a chess master? But I digress). The cost is only $7.99 per month, so this is an affordable treat and the app turns coffee tasting into a bit of a game. 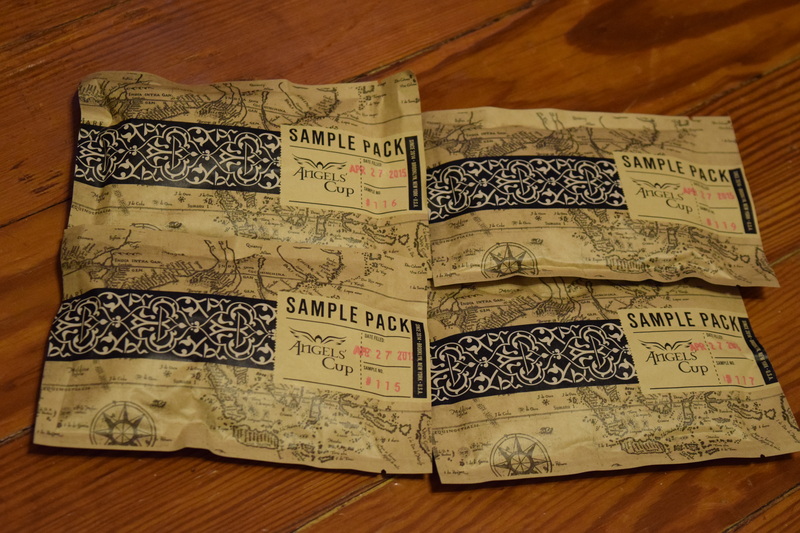 Inside the Angels’ Cup package are four sample envelopes. They are labeled with a number rather than a name in order to keep their contents a secret. Also included is a little menu cheat card in case your one of those folks who reads the end of the book first and can’t handle a little mystery. The card has detailed info on all the samples. So before I looked at my cheat sheet I decided to pick one and test my tasting skills through the app. I grabbed my coffee grinder and sample #0115. It offers the option for you to login and save your notes or to just skip ahead. Next, it asks you to list the coffees you’ll be tasting and whether you want a beginner tasting or an advanced. I opted for beginner. You select the “color” using a sliding scale, then “the taste”, by number on a wheel with items like “complexity”. Next is “aroma & flavor” which offers categories of flavors like “spices” which breaks down further into things like “black pepper”. Then finally you select your enjoyment level with selections like “okay”, “nice” and so on. When I was done my score was 81.5 while the Roastmaster’s score was 80.5. Apparently, I am more knowledgeable about coffee than I ever imagined. 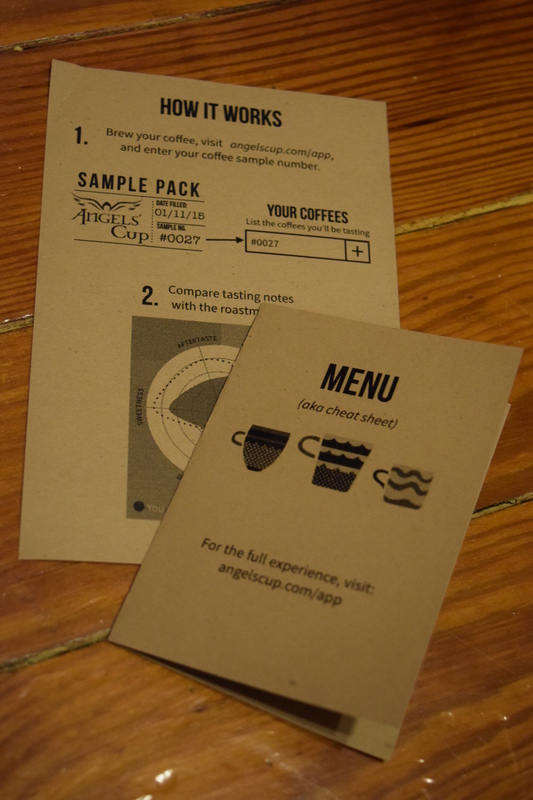 Once you finish tasting your coffees you can purchase your favorites from Angels’ Cup online store. Some info on the samples, based on our menu cards. 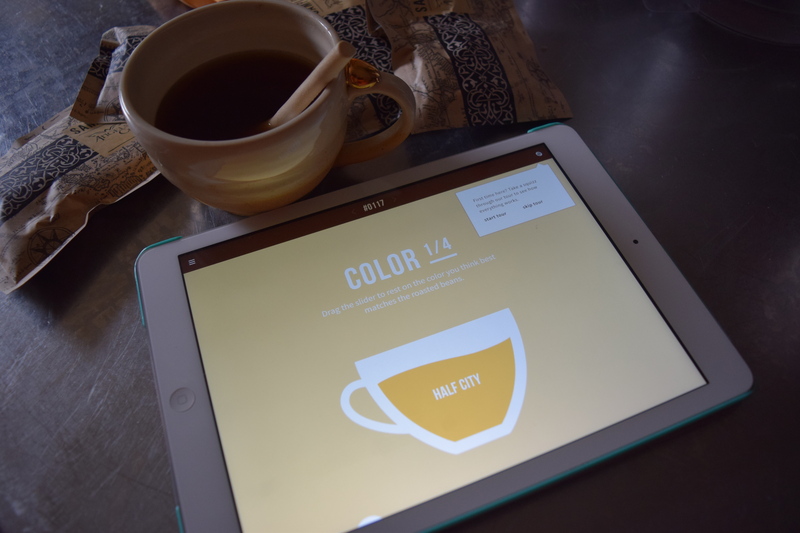 Honestly, I was a little intimidated by the idea of coffee tasting since I’m not a huge coffee aficionado but the app was fun and easy to use. For $7.99, this is a great way to try gourmet coffees without investing in the cost of a full bag, plus you can have fun learning about coffee tasting and even have some a little competition with your friends. Do you know much about coffee or are you a coffee newbie like me? 1. Join the hunt: Try 52 different single-origin coffees this year for only $7.99/month. Every coffee Angels’ Cup ship is excellent, one might be your new favorite! 2. Blind taste test: Sample each coffee without bias and decide for yourself what you like. A number on the bag can be used to identify the coffee after you’ve had a chance to try it. 3. Master your palate: Our app lets you record tasting notes and compare answers with the roastmaster to develop a superhuman sense of taste. Can you guess a coffee’s origin?